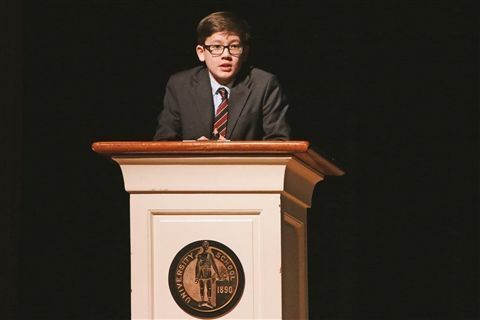 Junior Research Fellow Hans Swain '23 talked to the middle school about healing, both physically and emotionally, and the power of our minds and spirit within that process. Hans explained the placebo effect: healing that happens not because of medications, but because of our own belief that we can do it. 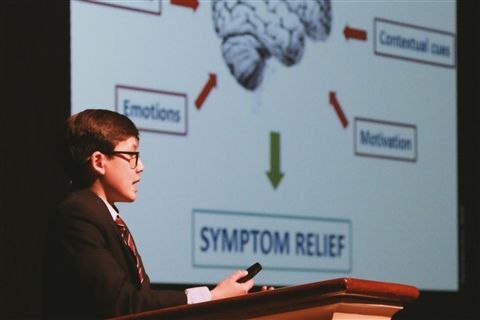 He also shared data and graphics from clinical trials which showed how the brain responds to real medication vs. placebos. Hans worked with Dr. Sara Thiam, visiting assistant professor in the Department of Anthropology at Case Western Reserve University. Dr. Thiam helped Hans to understand the anthropological side of the placebo effect as well as giving him valuable research materials.